Synopsis: Violence and mayhem ensue after a hunter stumbles upon a drug deal gone wrong and more than two million dollars in cash near the Rio Grande. Did You Know? The silencer on Chigurh’s shotgun had to be custom made for the film as no such thing existed. Quotables: CHIGURH: Anywhere not in your pocket. Where it’ll get mixed in with the others and become just a coin. Which it is. To this day this is one if the most captivating movies I’ve ever seen. I read the novel right before watching it, and I was very impressed with how loyal it was to the source material. There were only a couple of notable differences, but they were so inconsequential that it didn’t matter. 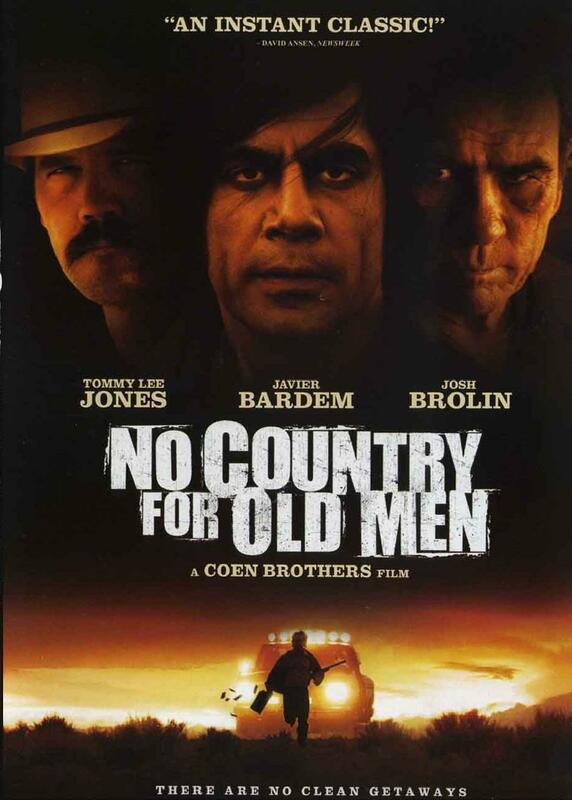 It has a stellar cast led by Tommy Lee Jones, Javier Bardem, and Josh Brolin. Bardem and Jones, in particular, are simply brilliant. At first glance, it’s easy to mistake that Jones’s character is identical to other characters he’s played. But underlying his hardened exterior is a subtle reluctance that tells us he has seen a lot and isn’t too keen to see much more before he retires. It’s my favourite of his performances. And then there’s Bardem’s Oscar-winning performance of the murderous Anton Chigurh. Bardem is sublime, perfectly encapsulating the shrewd and calculating nature of the villain. His unblinking apathy sends shivers down my spine every time. He is evil incarnate, wholly terrifying.